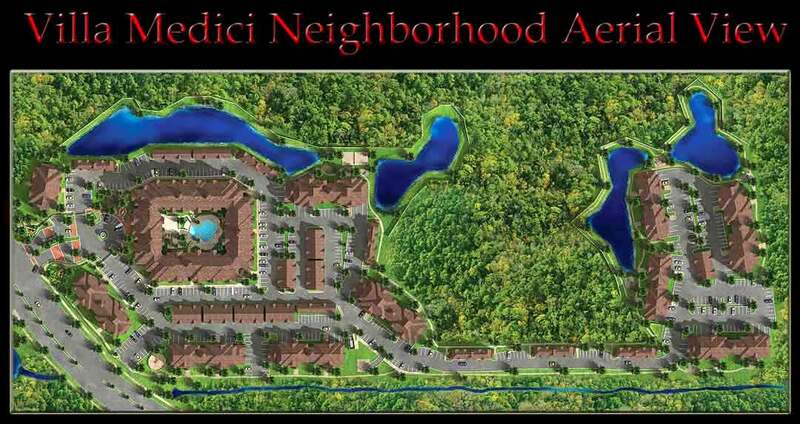 Villa Medici condominium community in Jacksonville, Florida. 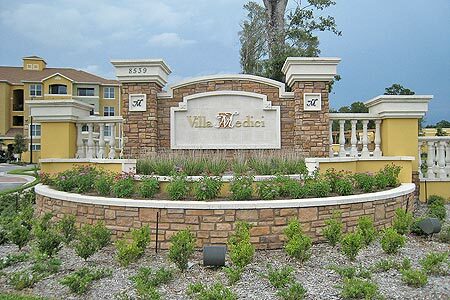 Villa Medici condo in Jacksonville Florida, real estate listing, home for sale, preconstruction and relocation information from Will Vasana, REALTOR®. Villa Medici is a new gated condominium community located on Gate Parkway West with close proximity to entertainment, fine dining, spectacular shopping, schools and great medical facilites. St. Lukes hospital, Tinseltown Theater, St. Johns Town Center and the employment centers of Deerwood and Southpoint are just around the corner with easy access to downtown, I-95 and Southside Boulevard. Inspired by Mediterranean designs reminiscent of a Tuscany village, Villa Medici features beautiful interiors and upscale amenities including clubhouse with full kitchen and game tables, olympic size pool and lounge area, sun deck, fitness center, massage therapy room, business center and conference room, concierge service, outdoor grilling stations, pet activity area and childrens' playscapes. Within the community of 379 luxurious residences, residents enjoy four lakes with sparkling fountains and abundant nature preserve areas. Constructed around a central four-story building containing 150 residences and elevators, the community is consist of 16 additional buildings flanked by lushly landscaped walking trails with fitness stations. The outdoors provides a beautiful backdrop for both relaxation and activity at Villa Medici. Reflect in the meditation garden or lounge on the extensive sun deck. Get your blood pumping on the walking trails with fitness stations. Whether you'd like to unwind from the hectic pace of the city, or invigorate your body with exercise, Villa Medici provides the perfect environment. See sitemap. Choose from one-, two- and three-bedroom floorplans featuring 9-foot ceilings, crown molding, 18" ceramic tiled floors in foyer, laundry, baths and kitchen. The deluxe kitchens include granite countertops, 42" upper cabinetry and Whirlpool appliances. The baths feature garden tubs and cultured marble vanity tops with oval bowl. Some homes include a private patio or balcony. Private garages are also available. Pricing from the upper $100's. Please contact me if your are interested in having an independent REALTOR® who does not work for the developer represents you. There is no cost to you for my professional service. For a private tour, availability and showing, please call (904) 307-8998.